We participated in the “Learning & Technology Expo 2015” in Hong Kong in December 2015, and the “Spielwarenmesse” international toy fair in Nuremburg, Germany in January 2016! 2We participated in the “Learning & Teaching Expo 2015” in December 2015 for the first time. 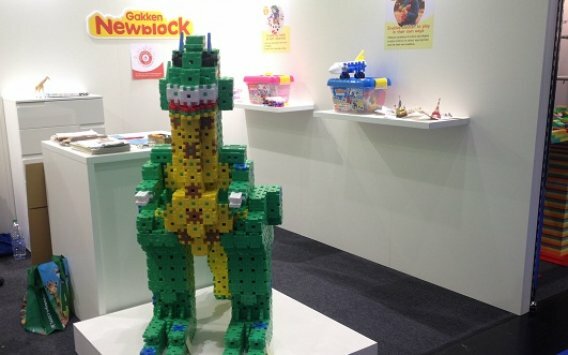 This trade show is held with a focus on those involved with Hong Kong’s preschools and kindergartens. It also appears to be a trade show that students visit who are interested in becoming involved with preschool and kindergarten education in the future. We explained what role the shapes, colors, softness, and other qualities of Newblock play in development to the visitors of our booth. Many visitors showed strong interest in Newblock. We will continue to spread the word on the great qualities of Gakken Newblock around the world!